FRONT HIGH-BACK RECLINING HEATED BUCKET SEATS floor console, inboard armrests, dual pwr lumbar, rear air cond vents, dual 6-way pwr seats, 2-position memory driver seat, PWR SUNROOF HomeLink universal garage door opener, OFF-ROAD SUSPENSION PKG off-road suspension w/specially-tuned springs/shocks, skid shields, locking rear differential, P265/70R17 on/off-road BSW tires, 17" aluminum wheels, aggressive rubber floor mats, high-capacity air cleaner, "Z71" decal, CONVENIENCE PKG auto-dimming driver exterior mirror, auto climate control, OnStar Safety & Security system, HomeLink universal garage door opener Chevrolet Avalanche with VICTORY RED/LT PEWTER MET exterior and GRAPHITE INTERIOR TRIM interior features a 8 Cylinder Engine with 285 HP at 5200 RPM*. 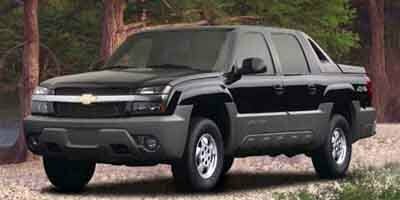 Edmunds Editors' Most Wanted Large Crew Cab Pickup. "The key to its multipurpose nature is the innovative Midgate system that allows the partition between the cab and the truck bed to be completely removed. This extends the length of the load floor from about 5 feet to a tad over 8 feet in just a couple of minutes without hand tools." -Edmunds.com. 4 Star Passenger Front Crash Rating. Was $5,995. This Avalanche is priced $1,000 below NADA Retail.